Trent Reznor with his third studio album creates what many consider his masterpiece, "The Fragile", a double album with many new brilliant ideas. Compared to "The Downward Spiral",NIN's real masterpiece, it has a lot more experimentation and with many more progressive elements. That's why many prog fans appreciate this. For me, it is an excellent industrial rock album, with some great songs, alternated with some weird and dark soundscapes. The lyrics are much more personal than usual, narrating the despair that Reznor had at the time. He in fact was seriously meditating about killing himself the same period that he wrote the album. Musically, there are some excellent songs, like "Starf***ers Inc.", "Where In This Together", "Into The Void", and the title track. All of these songs are incredibly dark, and they probably can be interpreted as a sort of continuation to "The Downward Spiral"'s uncomfortable bleakness. Some songs though aren't really as fascinating as others, so the album maybe is a little bit too long, and risks to be boring and monotone. In conclusion, this is for sure an excellent addiction to anyone who likes real music, being very haunting and mysterious in it's distorted despair. 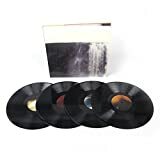 "ugliness in its most beautiful form"
A snippet from a RYM review I read that seems to be a good overview for this sprawling double-disc set of unease, tension, and pain. I largely ignored NIN in the 90s choosing to instead sooth my nerves with Rage Against The Machine, though I really can't stomach the depths of their juvenile politics anymore. As I began to immerse into "The Fragile" it took some time to seep into my pores. It really wasn't until some recent painful episodes sunk me into numbness that this stuff hit me hard, with its oddly beautiful and somehow soothing mix of rage and disquiet. Sprawling is the right word and Fragile feels like one of those slightly off-kilter double albums which catch an artist in a state of limbo, in the way titles like The White Album and Boys For Pele do. Not quite the best single work of the artist perhaps, but the fascinating black sheep of the catalog. The industrial/electronic rage-rock is presented with lots of pretentious, proggy, and artsy dressing. From brooding softer pieces bordering on ambient music to the expected rage, there are lots of cool strings, piano, atmospheric guitar (even Adrian Belew! ), and choirs. The themes all revolve around darkness and pain, of people falling apart, calling for help, one emotional train wreck after another. Musically there is not quite enough of the open ended stuff for my tastes however, many of the tracks lock into a repetitive verse/chorus style that while nice and heavy, doesn't please that side of me which enjoys the unpredictable. While certainly respectable and of good quality it is not the kind of album I want to return to often. That's probably a good thing. "tried to save myself but myself keeps slipping away"
Many NIN fans have high praise for The Fragile, but I honestly have only recently been able to get into it. Lyrically speaking, it very much comes across as a double album version of The Downward Spiral - or rather, of material which might have got onto The Downward Spiral had it received a little more polish. The five years since the last official NIN studio album (if you don't count the excellent soundtrack Trent Reznor made for Quake) seemed to have resulted in no emotional growth on Reznor's part, if the lyrics are anything to judge by, and whilst the Downward Spiral's lyrics managed to be, at their best, cutting and emotionally raw, the lyrics of The Fragile too often tend towards the grumpy and petulant. It is only comparatively recently that I've been able to get past the embarrassing lyrics to really appreciate the musical accomplishments here. Technically, Reznor had spent the intervening years honing his craft yet further, and it really does show. The Fragile may be the most sonically diverse Nine Inch Nails release ever - why, on Into the Void Reznor even gets a funky little strut going. I should really make a point of investigating The Fragile: Deviations 1, a recent release of instrumental tracks from The Fragile mixed in with rarities from the same era, since it really does seem like the vocals and lyrics have been the main barrier to me enjoying this particular box of musical tricks. Even then, at points I still feel like this is a five-star single album loaded down by two-star filler. It's no secret that Trent Reznor was caught up in the throes of full-blown drug addiction when he made "The Fragile." In the 5 years that followed his brilliant "The Downward Spiral" album his substance abuse problem worsened and, I suspect, almost did him in. However, these two discs are imaginative and creative despite his afflictions, not because of them. The fact that he was able to produce quality material with the albatross of self-destruction hanging around his neck is further proof of the stubborn spark of genius in him that refused to accept defeat. The lyric content is disturbing and depressing but what else would one expect from a soul so tortured and diseased? I admire his rock bottom honesty but, better yet, I'm glad that he eventually emerged from his dungeon, got help and survived to remain a major influence in the evolution of modern music. I was late in experiencing this record. Not due to any reticence about Nine Inch Nails but just the circumstances of life in general. When I finally got my chance the opening song, "Somewhat Damaged," assured me within seconds that I was going to like what I was about to hear. It's one of the coolest beginnings I've ever come across and it draws the listener right in. Trent's expressive voice reassured me that, as before, nothing will be held back as he cries out painfully but poetically "Lick around divine debris/taste the wealth of hate in me/shedding skin succumb defeat/this machine is obsolete." The 9/8 time signature gives the tune a great, slightly off-kilter aura and I'm always pleased when an artist chooses to put the album's best number up front. He segues directly into "The Day the World Went Away" where a peaceful break lulls you into false relaxation prior to edgy guitars barging in rudely. Reznor then drags you into his Salvador Daliesque dimension for a revealing verse ("I'd listen to the words he'd say/but in his voice I heard decay"), followed by the erection of a gargantuan-sized wall of sound. "The Frail" is a short piece of haunting minimalist piano enhanced by a ghostly backdrop that leads directly to "The Wretched." Its throbbing rhythm pulsates under a demonic guitar riff during the verses and an infectious, ascending synth line dominates the chorus while he enunciates his despair via words like "the hopes and prays/the better days/the far aways/forget it." Midway through he tosses it all into a blender to build an enthralling effect that's stunning. On "We're in this Together" he teases at first with abstract snippets of an approaching aural electrical storm and then settles into a stark motif for the verses. The chorus is highly intense and though it would seem that Trent is shouting encouragement to his lover ("You're the queen and I'm the king/nothing else means anything") it's as if he's singing to her from inside a cage. Drums pound ominously in "The Fragile" as Reznor gives the impression that he's inches from your ear, wistfully telling of his lady's charms with lines like "She shines in a world full of ugliness/she matters when everything is meaningless." The 2nd chorus is stronger and then he takes you on another surprising detour into surrealism, later bringing the roof down on you with buzz saw guitars and an impassioned vocal. "Just Like You Imagined" is a superb instrumental. Its mysterious intro opens into a 9/8 pattern that grabs your attention and won't let go. This is the type of angular stuff that Trent captivates me with. "Even Deeper" follows with sonar pings probing the dark depths while a stringent beat sets the stage for him to seek a different route into your subconscious. "Do you know how far this has gone?/just how damaged have I become?/when I think I can overcome/it runs even deeper," he intones. The beautiful floating notes that drift in are sublime. The instrumental "Pilgrimage" brings to mind some kind of riotous mob on their way to loot and pillage and I'm fascinated by his juxtaposition of a festive parade processional atop a broiling sense of impending mayhem. In "No, You Don't" a heavy rock beat drives this power-chord pile-driver but he lets the drums get too busy and the tune loses momentum repeatedly. The mostly instrumental "La Mer" is next and it's a great demonstration of Reznor's uncanny ability to sculpt beauty in ways I've never encountered. He employs slightly-out-of-tune instrumentation, placing it tactfully over droning piano while drums enter to push the song into a phantasmagorical swirl before returning to the serene intro. He closes disc #1 ("Left") with "The Great Below," a sobering tune of resignation if there ever was one. "I descend from grace/In arms of undertow/I will take my place/In the great below," he sings. Disc #2 ("Right") starts with the brief "The Way Out is Through" that sounds like a man clawing wearily in a tunnel. On "Into the Void" a cello plays atop a series of plinks and plunks till the drums establish a firm foundation for a fat synthesizer riff. Typical of NIN, you'll encounter sounds you've never heard before as Trent vents his angst with lyrics such as "I tried to save a place from the cuts and the scratches/tried to overcome the complications and the catches/nothing ever grows and the sun doesn't shine all day/tried to save myself but myself keeps slipping away." During "Where is Everybody?" a serpentine feel propels a subtle drone while Trent semi-raps his frustrations over an array of distorted guitars and odd synth noises. An intriguing instrumental follows, "The Mark has Been Made." A Peter Gabriel-ish atmosphere characterizes the first movement until a strange stringed device intervenes, paving the way for a burst of dense heaviness that grows and then retreats into the void. Punchy drums lay down an almost "normal" underpinning for the rocking "Please" yet Reznor doesn't play it safe, opting to let the song go where it will with all of us in tow. "This is how it begins/push it away but it all comes back again/all the flesh, all the sin/there was a time when it used to mean just about everything," he bemoans. "Starf**kers, Inc." drifts in like a sandstorm and then presents a fast-paced agenda intended to imprint a crass but memorable refrain and I never thought I'd come across a nod to a Carly Simon tune on a NIN album but it's there. Satirizing the groupie mentality he snarls, "I'll be there for you as long as it works for me/I play a game/it's called insincerity." An insane dulcimer effect leads into some energetic madness inside the instrumental "Complication" but it's nothing remarkable. The caustic "I'm Looking Forward to Joining You, Finally" was written for his late grandma and his words betray his unrelieved anger over her passing. "There is a hate that burns within/the most desperate place I have ever been," he relates. A funky groove anchors "The Big Come Down," a bitter tirade that exudes a house-of-mirrors, equilibrium-wrecking aroma. On "Underneath It All" a furious percussive effect steams below Reznor's sing-song melody, releasing a raw conflict of emotions. "Numb all through/I can still feel you/hear your call underneath it all/kill my brain/yet you still remain crucified/after all I've died/after all I've tried/you are still inside," his muddled gray matter announces. At the end his voice coolly deteriorates like a bad cell phone signal. He closes with "Ripe (With Decay)." A sinister, airy mood descends and alights on a dark drone before a mass of notes and noises congeal and then dissipate into a pensive flow of intertwining melodies. The number's overriding suspense emanates from never knowing where he's going to take you next. It should be obvious that if you're looking for a get-your-day-off-to-a-bright-start sort of deal than you'd best skip "The Fragile." But if you're ready to delve deeply into the sordid world of a heroin-obsessed psyche and objectively view it as a work of serious, meaningful progressive art then this is well worth your while. However, it's not as cohesive as "The Downward Spiral" and I feel that if Trent had edited this down to one disc he would've had a much more comprehensive album but in his fractured state of mind I have no doubt that more was deemed better than less and it worked against him. 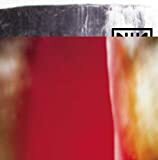 In the final analysis, though, Reznor's outside-the-box thought process is still uniquely invigorating and he'll never be accused of being boring. 3.9 stars. This excellent album is an example of what happens when "less is more" but you get more anyway. The sum of this album is less than it's parts. Why is this the case? Well, look at the fact that the album debuted at number 1 on the Billboard 200. It had been several years since the release of "The Downward Spiral" and fans were anticipating the next album from NIN. That explains the reason for the sales at the beginning. But in the 2nd week of it's release, it fell to number 16 and set a record of being the biggest drop from #1. I think that is because the fans went out and bought the album and would have bought it at almost any price, but it proved to be too costly for the masses who didn't want to pay for a double album. It was too much all at once. It probably would have done better if it was released in 2 parts. The other problem with this being a double album is the music is dark and dense, as you would expect from a follow up to "The Downward Spiral" and it is difficult, especially one the first several listens, to take it all in one big dose. As great as the music is, it is hard to sit through it all in one sitting. 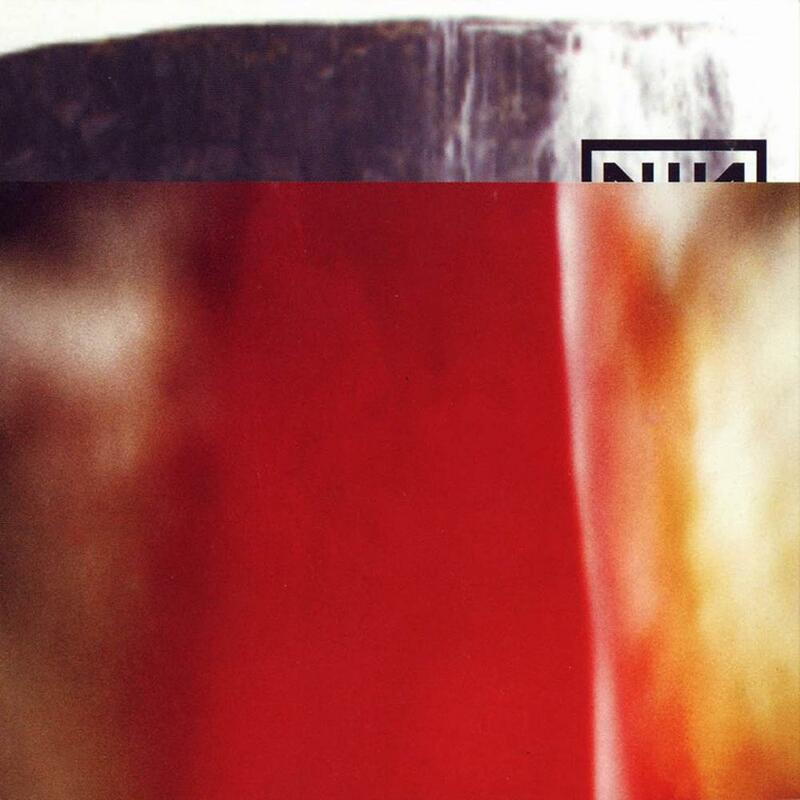 However, many fans have accepted it as the best album by NIN. As for myself, I find the songs more developed and adventurous. But I can't give it masterpiece status because it is an album released with 2 discs as a whole, which normally isn't a problem if it doesn't wear itself out. But the problem here, by the time you get to the 2nd disc, you lose interest, even though the music is still top notch. Take "The Wall". It is easy to sit through both discs because of the variation in the tracks. In NIN music, there is just too much repetitiveness to stay interesting through 2 discs. If you listen to them separately, they are much better and you will end up discovering the 2nd disc is actually better than the first. There is some variety among the tracks though. I believe that the songs are slightly better individually than "The Downward Spiral" because there is a lot more variation and experimentation throughout. There are several instrumentals and atmospheric/moody passages that break up the noise, and the songs are slightly more progressive than before. You also get several tracks with Adrian Belew (from King Crimson as if you didn't know) participating. All of these things should add up to a better whole right? Well, it doesn't because it is too hard to sit through it all. So listen to it separately, it's much better. Trent even said that he should have released it in 2 parts. It is, after all, a personal record for him in that it reflects the moods and difficulties he was going through at the time. Where "The Downward Spiral" was a concept album about a fictional character, this album was a concept album about his own feelings. There is still a lot of noise and industrial sound to this one and a lot of people might not even notice a big difference in the sound. Granted, it is hard to hear at first. 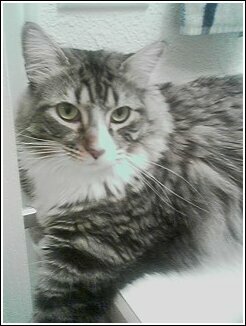 But you will notice the more frequent change in dynamics, moods and sound the more you listen. Trent tried to downplay the album before the release saying that this album would sound like nothing else done by NIN but more like the most ridiculous music you've ever heard with nursery rhymes over the top of it. Of course, it's nothing like that, it is very NIN typical sounding but with a lot more atmosphere. Still an excellent album, but the whole album can't be considered a masterpiece because of the loss of interest one feels when listened to completely. Yes that is a big enough deal to me to take it from the masterpiece status that I awarded to TDS. Still an excellent addition to your collection. 4 stars. 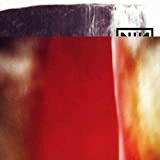 Post a review of NINE INCH NAILS "The Fragile"